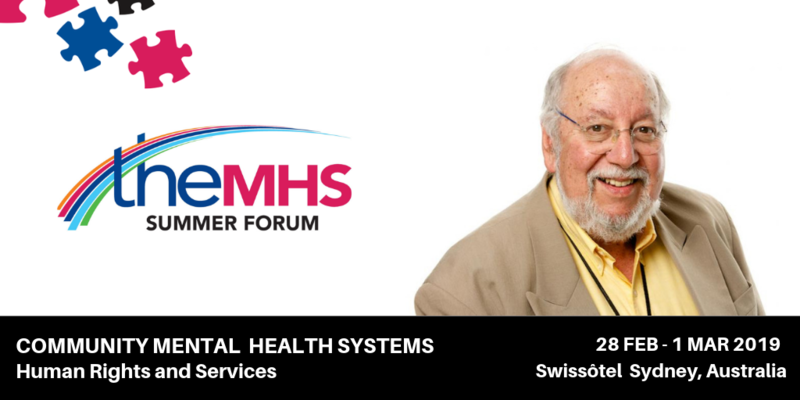 Summer Forum Keynote Spotlight: 5 minutes with Alan Rosen - TheMHS Learning Network Inc. It is on the parallel humane cultural purposes of evidence based clinical community mental health services. There are separate evidence-bases for particular interventions (e.g. family psycho-education, skills training and support) and for service delivery systems, (e.g. Assertive Community Treatment and Support, Mobile Crisis and Early Intervention Teams) but for effective services we need both. Service Delivery Systems are the vehicle delivering the interventions, while interventions are the potent contents to be delivered. We know that certain interventions and service delivery systems have been independently demonstrated to be clinically effective and evidence-based, but are they culturally effective? In all societies we share two basic cultural or anthropological tools to help us through life: extended kinship networks and rites of passage. These are sometimes just muffled echos or considered to be relics of the past in contemporary urban living. Are they really potent tools for healing and well-being, or do they convey just a touch of nostalgia these days? There are many indications that they are still universally powerful factors in determining quality of life and healing. It turns out that many of the most effective clinical strategies, are also likely to be a proxy or substitute or amplifier for a powerful cultural strategy, fulfilling an essential cultural need, which would otherwise remain in deficit. For example, frequent home visiting is the key to effective crisis or assertive mobile teamwork, but it had it’s origins in traditional healers home visiting in indigenous villages, or pastoral visiting by clerics and by active get-off-your-bottom GP home visits, which have almost been superseded by sedentary medicine these days. Multiple Family Groups provide a substitute for an extended kinship network for families which have become isolated, estranged, or shunned and extruded from their own extended networks. This may be due to fear of a family member living with psychosis, who has been deemed strange, embarrassing, or potentially dangerous or spoiling of the family marriage prospects (e.g. China. M Philips et al). Ongoing care coordination by an expert mental health worker and a life experienced peer worker can provide the continuity of care and share the “glue of history” with you (e.g. Sue Estroff). They can be someone who can encourage you to resume growing in life despite feeling stuck for a while with a mental illness. They may be the person who has witnessed just how far you have come in your recovery. They can give you credit for having seen you struggling successfully to overcome these obstacles to complete your rites of passage into adulthood and beyond. They can provide part of your pit-stop team who believes in you, barracks for you, and ultimately helps you to celebrate your hard-won achievements on the road to recovery. The completion of transition rituals is traditionally attained and celebrated in the presence and with the active support of both your peers and your elders. Because it raises some key questions in community mental health services? 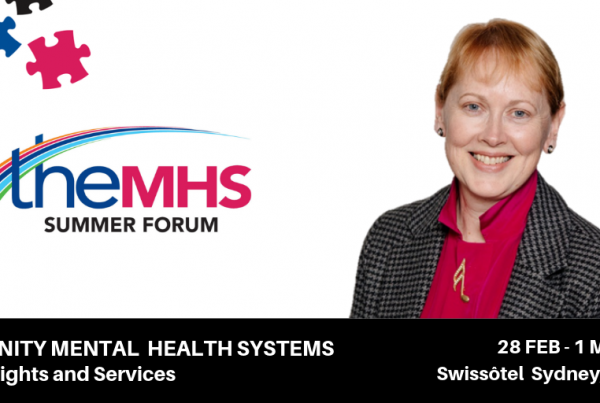 We have been involved in over 40 years of sound research and service development, demonstrating how community-centric mental health services are superior to hospital-centric services, as long as they provide evidence-based interventions and delivery systems, with seamless, integrated, mobile and 7 day & night interdisciplinary teamwork. So how have our Australasian public mental health services often become so sedentary, fragmented, underfunded and depleted? What happened to ongoing care coordination for individuals with severe and persistent or recurrent mental illnesses involving the same clinicians working alongside you for as long as you needed? Why are many teams only allowed to provide ongoing care if the person is put on a community treatment order? Is the right to choice and voluntary care a human rights issue, and can facilitating human rights be inherently healing? What is the appropriate balance between individualistic approaches and collective cultural approaches to healing in our multicultural and indigenous communities? What happened to routine availability of mobile, in-and-out of hours, home delivery of community mental health services, rather than mainly hospital campus based outpatient and inpatient services? What happened to routine family and group work, with both clinical and peer experts, who can help individuals and families still reeling from finding themselves by surprise in the mental health system to learn that there can be a life with and after mental illness, and to learn that recovery can be attained from those who have already done so? 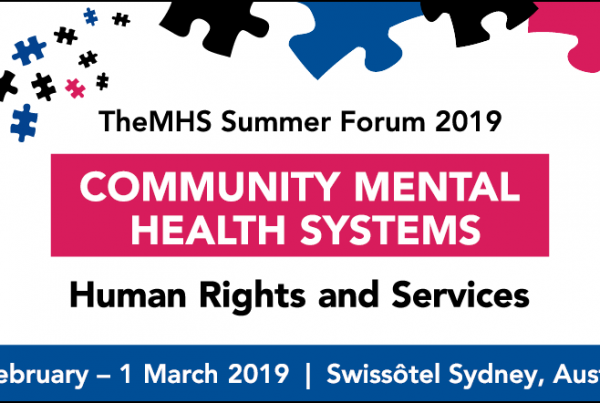 Community mental health services have become orphans in most parts of Australia, being either squeezed for resources or abandoned by both State and Commonwealth governments. Many Mental Health NGO providers complain that they can no longer rely on depleted public community mental health services to back them up if they try to refer in a clinical crisis, or if they try to escalate the care of a person whose condition has been deteriorating. Hopefully, we can arrive at some common strategies to resolve these crucial questions, and convey some clear recommendations, from many voices, to our governments, advising them how to rebuild community mental health services in a coherent and effective way. I have been a printmaker for many years, working mainly with etchings, block-prints, collagraphs, and more recently with digital prints. 5.Where can people find out more about your work? Brain & Mind Centre, Sydney Medical School, University of Sydney. In March 2013, Alan was appointed Deputy Commissioner of the Mental Health Commission of New South Wales. He has reviewed mental health services for governments and administrations in 5 Australian states and the ACT. He has been invited speaker and/or performed consultancies on service development in several Australian states and territories, UK, Ireland, Netherlands, Sweden, Denmark, Italy, Germany, USA, Canada, China, Thailand, Hong Kong, Argentina, Spain, Portugal and New Zealand. He is the author or co author of more than 140 published journal articles or chapters on studies of 24 hour community based alternatives to acute and long term inpatient care, rehabilitation and recovery, assertive case management and integrated mental health service systems; more inclusive interdisciplinary mental health teams, including peer workers, early intervention in psychosis; psychiatric stigma; dual disorders, deinstitutionalization, consumer issues, family interventions, Aboriginal, developing country, rural and remote mental health, cultural influences on mental health service systems, qualitative and quantitative outcome measures, recovery measurement, impaired doctors, research and evaluation in mental health, service standards, the National Mental Health Strategy, global community psychiatry, Human Rights of individuals with severe and persistent mental illnesses, international comparisons between Mental Health Commissions, and the history of Australian Psychiatry. Alan has been involved with TheMHS since 1991 as a founding Board member. He has presented at TheMHS Conferences and Summer Forums on a wide variety of topics since its inception. Next PostA very different Summer Forum in 2019. Don't miss out!